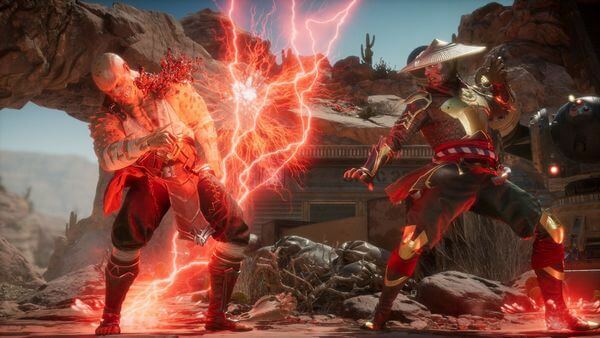 After the surprising appearance of Ed Boon and Mortal Kombat 11 trailer, tons of fighting-game fans were awaiting for the Mortal Kombat 11 Community Event. And man, there were so many insane stuffs happened in this event. So with no further ado, let’s check out what we know about Mortal Kombat 11 so far! Coming to Mortal Kombat 11, we have to say that the visual looks much more stunning than before. The details are really insane from characters model, effects, to the environments. And of course, what is a Mortal Kombat game if there is no gore. If you think MK X is already brutal enough, you will have to think again because MK 11 pushes its brutality to the next level. The new mechanics Fatal Blow (basically new version of X-Ray move) and Crushing Blow look extremely insane and detailed. Every crushing move feels painful to the bone, muscle as it is supposed to be. And definitely we cannot miss out the Fatalities which also look even more brutal and insanely detailed to the flesh and organs. It looks really, really gross, but again, this is Mortal Kombat after all. 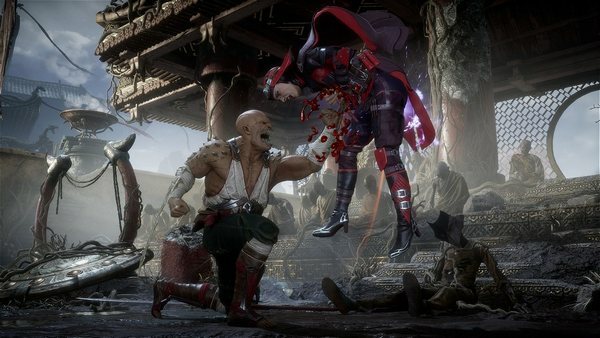 Mortal Kombat 11 is now confirmed to have a total of 25 characters at launch, including both old and completely new faces like Geras. 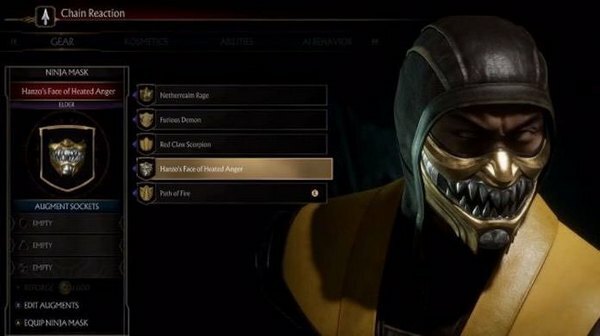 Each character also has 3 Variations just like MK X and this can be selected from character customization sections. 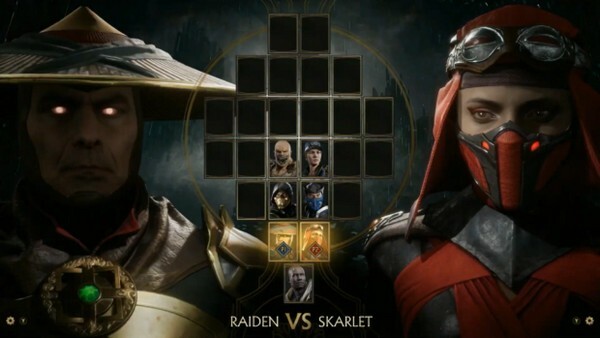 During the community event, 7 out of 25 characters were revealed including: Baraka, Sonya Blade, Scorpion, Sub Zero, Raiden, Skarlet, and Geras the brand new character. As mentioned, characters in MK 11 now look even better and more detailed than before. In terms of new character Geras, this guy really exudes a badass aura. Story-wise, it seems he is kind of a time god who can manipulate time and sand. Gameplay-wise, he seems to have some mix between zoning moves and brawling moves. Still, this is early reveal so definitely there are more to the character which we have not fully seen yet. 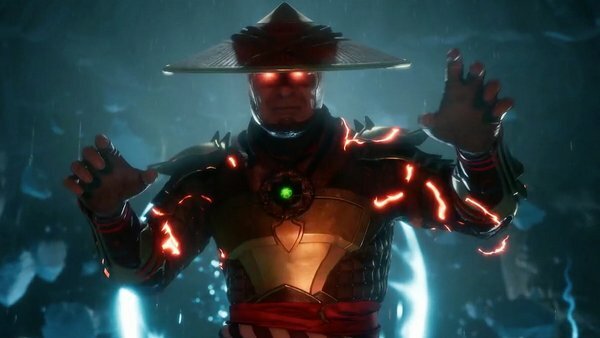 The story of Mortal Kombat 11 will pick up right after MK X when Shinnok was defeated while Raiden became enraged. We got to catch a glimpse of the prologue which brings us to Jinsei – the ancient temple where Shinnok invaded. Here we see Shinnok being tortured repeatedly by Raiden who seems to be a corrupted god who vows to do everything necessary to crush Earthrealm’s enemies. After being mocked by Shinnok, Raiden chopped off his head and put it on a stone pedestal. Interesting enough, after Raiden left, a mysterious entity appeared and told Shinnok that this was not his destiny. Furthermore, she revealed that Raiden has been messing up with the timeline and she is definitely not happy with such arrogance. Judging by her dialogue, it strongly suggests that MK 11 storyline will involve time-travel. In fact, in the beginning trailer of the event, we did see young Liu Kang and Kung Lao stopped by Geras who also warned Liu Kang that he is choosing a wrong fate. 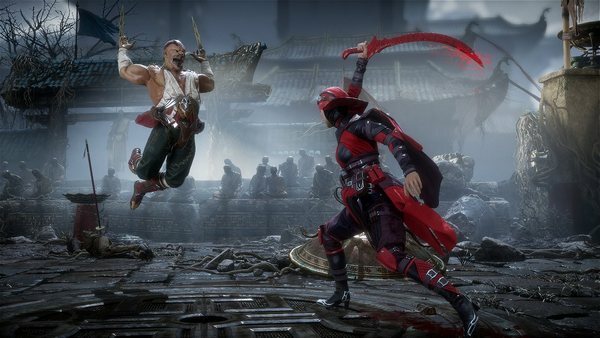 Variation: Just like MK X, each character in MK 11 will have 3 default Variations, and each Variation will provide unique moves which change the character’s playstyle drastically. That said; players can actually customize their own Variation via the Abilities section which we will mention below. 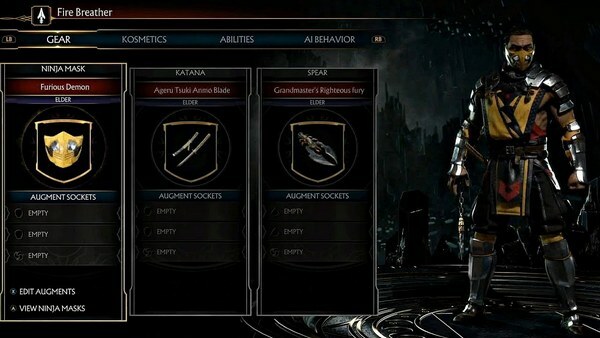 Gear: Each character has 3 Gear slots; each gear has 3 Augment Sockets, which supposedly provide different passive benefits similar to Injustice 2. Judging by the term “Sockets”, it seems players can decide the passive benefits they like for each piece of gear. Kosmetics: This panel includes Skins, Intro and Victory Cinematics, Fatalities, and Brutalities. Abilities: It looks like players will be able to add 3 Abilities from a list onto their character’s move list. These Abilities can be varied from adding Special Attacks or Combos, and thus, it allows players to customize their own Variation. AI Behavior: In this panel, players can customize how AI will use a particular character based on players’ settings, including Grappling, Rushdown, Kombos, Reversal, Zoning, and Runaway. This system is really interesting since players can see and practice with the same characters, yet having different playstyle. Back in MK X, there is only one Meter Bar used for Breaker, EX-Moves, and X-Ray. But now, there are 2 distinct Meter Bars: the horizontal one for offensive moves and the vertical one for defensive moves. In addition, Meters will auto-regenerate over time instead of regenerating when players perform Special Moves. Fatal Blow is the “new mechanic” in replacement to the old X-Ray move. Similar to X-Ray move, Fatal Blow is like an ultimate attack which deals tons load of damage. However, it will not cost any Meter and instead, it is only available when player’s health reduces to 30%. Fatal Blow can only be used once time per game, but if players miss the Fatal Blow, they can still use it again after a cooldown duration. Frankly speaking, Fatal Blow seems to be much more useful than X-Ray; whereas X-Ray is rather useless especially in competitive play. Crushing Blow is the brand new mechanic. The idea is that all characters have certain moves which can activate the Crushing Blow and deal tons of damage, as well as providing different advantages like launching the opponent to the air or causing damage-over-time. To perform Crushing Blow, players will have to do certain combo or do the move within certain distance. That said; it will take times in order to understand this new mechanic. Flawless Block: This is also a brand new feature which is basically perfect timed block and it opens up window for counterattack. Aside from these major changes, there are also various modification in combat mechanics. For example: Combos seem to be shorter and deal less damage than MK X. Instead, combat will focus more on Crushing Blow and Fatal Blow to deal higher damage. That said though, combo will still be an important element. In fact, certain Crushing Blow moves can create opportunity for continued combos. Another interesting addition is that each character seems to have his/her own weapon, like Scorpion with his katana or Raiden with his staff. These characters also have lots of moves involving their weapon and all of their animations look really smooth. By now, one thing which Mortal Kombat X veterans may have noticed is that: there is no Stamina Bar. And it is true. To be more specific, Running and Stamina Bar are now removed. On the other hand, Dashing is still in the game but for some reason it looks substantial compared to MK X or MK 9. 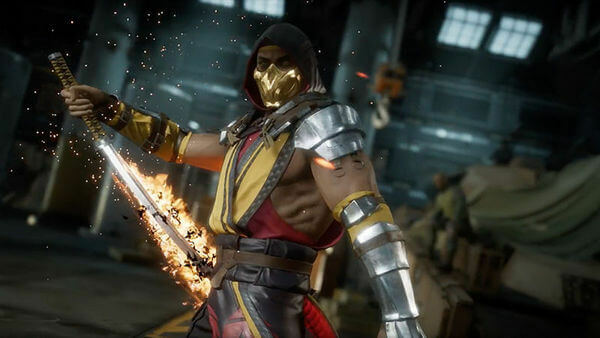 For this reason, some players show concern that MK 11 will be slower than previous Mortal Kombat titles, making the game less interesting. But nonetheless, we will need to see more gameplay in order to form a concrete opinion. And that’s it folks! Those are what we know about Mortal Kombat 11 so far! For now, thank you and stay tune for more news in the future!